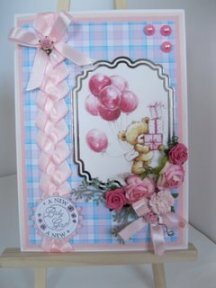 Card-making with easy to follow projects, and video tutorials. 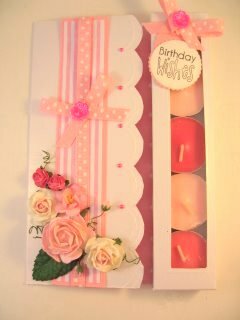 A blank card, some pretty paper, some glue, scissors and a cutting mat and you're away. No special skill is needed to create some beautiful designs. The website is easy to follow. All the catagories are in the Navbar to your left. Start with the Equipment that you will need. Some of it is the basics to begin with, but as you get better there will be other pieces that you want....and I did say want and not need. Then take a look at some of the Materials that will help you to create that masterpiece. From Lace to Gemstones and everything in between. On every page each of the words with a blue underline, is a link to another page, with even more links, at the bottom of the page you are on. Just click the link to go to a new page. Try some of the Projects that are featured, and there are some beautiful projects on these pages. Some are easy and some get harder as you gain more confidence. But they are all in easy to follow steps so you won't get lost. You can make cards that you will be really proud of. Learn how to fold some interesting effects. There are lots of Video Tutorials to spark your imagination, and show you how to create that masterpiece. 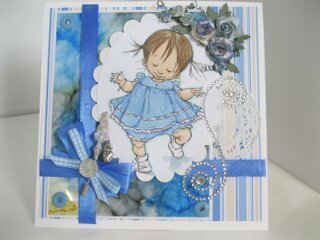 If you want to try something different then look at the Novelty, Kinetic and Occasions pages, for some really creative card-making ideas. Most people become passionate about their card-making hobby, and you will be bitten by the bug once you start. There is always something to learn, and every day new and exciting techniques come on to the market. If there is a technique you want to learn then browse the Tutorials and see if there is something there for you. New ones will be added regularly. 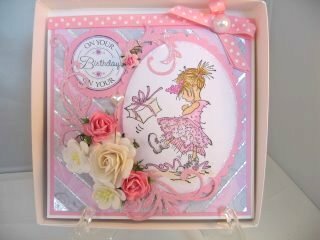 With your imagination you will discover all kinds of ways to jazz up a card, whether it's adding a gemstone, or some sparkle with glitter. And there's nothing more magical than a bit of Bling! 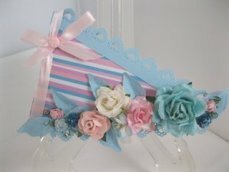 Some ribbon or a flower can make a "nice" card truly "Stunning." And remember that card makers don't throw away anything.....Ribbons, Buttons, Lace, Feathers even bits of twine left over from Christmas come in handy. They all go in your stash because "you never know when you'll need it" and your "stash" grows rapidly, from a tiny box in which to keep your treasures, to a crate full. There are lots of ideas for you to use, not only on this website, but in magazines, books and the internet. The web is the place to go for free downloadable papers, characters and verses. And as I find the places to stop by, I will tell you where to go. So instead of having a box full of paper which gets grubby and torn, you can just print off fresh, clean papers and images whenever you need them. There is free software to help you change the size or colour of the paper, you can even add text to it. Making your card-making truly unique. Need some ideas of what to do to entertain the kids during wet school holidays? Cover the table with old newspaper and let them loose. Children have such wonderful imaginations, and their explanation of their card, can be truly enlightening. You don't need to be artistic to become enthusiastic about card-making. There are lots of ways to make your creation stand out from the crowd. So join me on a magical journey as we make some cards together. Then use the Sitemap. It gives you a list of all the pages on this card-making website. Click on the links to go directly to the page you want.